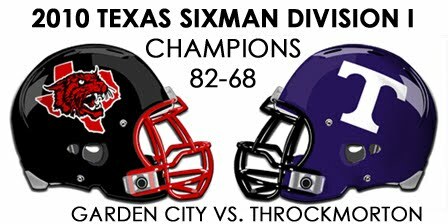 Congratulations to the Garden City Bearkats! We had an amazing time watching the state championship game streaming live on the internet. We all huddled around the computer watching the game in the tiny window on the 10-inch screen. The game wasn't even full screen, so small! With the hit and miss of the internet here, we decided "if it's not broken, don't fix it." Or more literally, if it's working fine, don't touch it, not even a little. So while we could have moved the computer, connected it to the TV, and watched the game in the living room lounging on couches, we choose not to touch what works. Instead, we huddled in our dining room (the smallest room in our apartment), sat around the dining room table (still covered with breakfast food mess from the children), and watched the small YouTube sized video of the game. AMAZING!